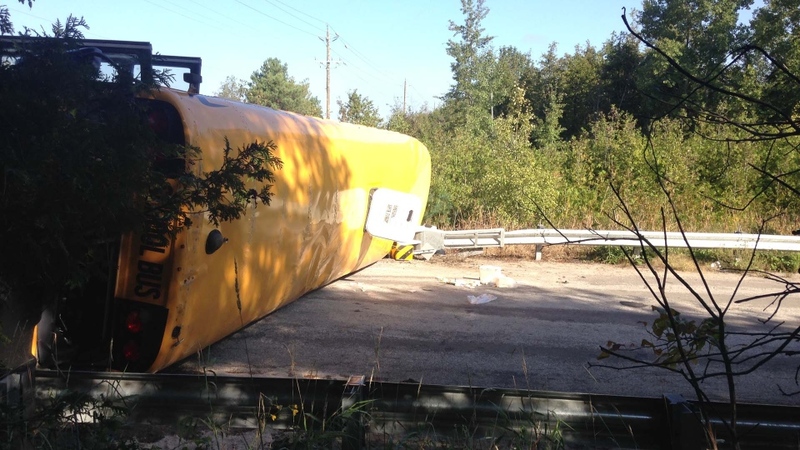 A driver has been charged after a school bus collided with a pickup truck in Innisfil on Wednesday morning, seriously injuring three high school students and sending 11 others to hospital. 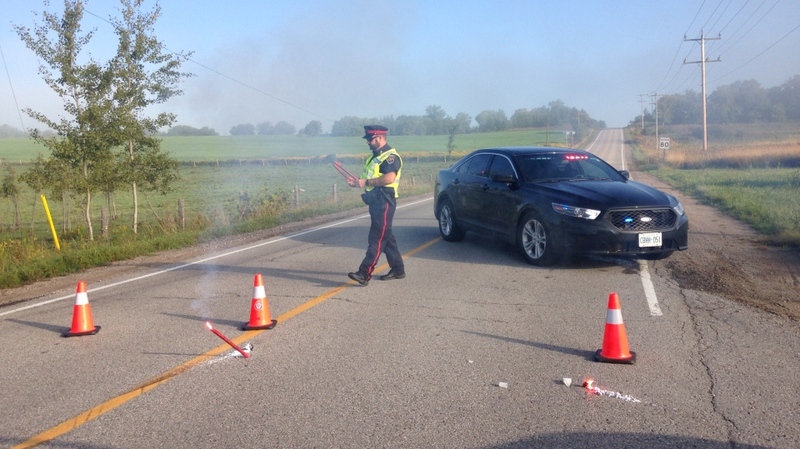 It happened at the intersection of 4th line and Sideroad 5 at around 7:45 a.m., South Simcoe Police said, as the students were on their way to Nantyre Shores Secondary School. In a news release issued Wednesday evening, police said that the bus driver failed to stop for a posted stop sign before colliding with the pickup truck. 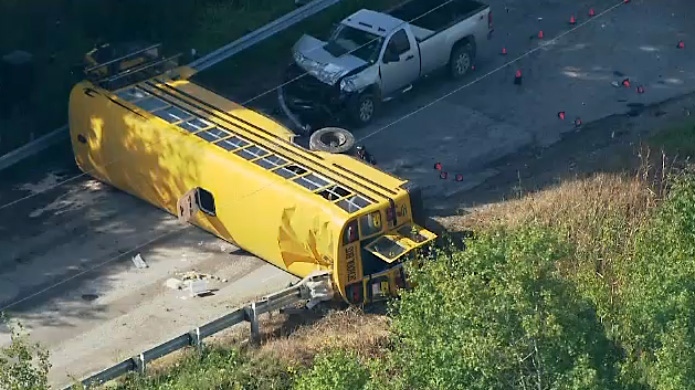 Images from the scene showed the school bus on its side in the intersection and witnesses at the scene reported having to help the teens escape the overturned bus through an emergency hatch. Basil Taylor said he was inside his house when he heard a loud bang and a “sort of rumble” broke through the otherwise quiet morning. Taylor said he and his daughter rushed outside to see the wreckage and started to help students get out of the overturned bus. “All the school children had to escape from a trap door on the roof because (the bus) was laying on its side,” he said. One student was airlifted to a Toronto trauma centre with serious injuries, while two other students were taken to a local hospital with serious injuries. All of the remaining students were taken to a local hospital as a precaution, with some assessed as having minor injuries. All of the injuries are believed to be non-life-threatening, police said. “Nine patients were assessed and transported to local hospitals with minor musculoskeletal injuries by land ambulance, including both drivers of the vehicles,” Simcoe County Paramedic Services Deputy Chief JC Gilbert told CTV News Barrie. At the school, a crisis team was brought in for any student that felt shaken by the events. The area was foggy at the time of the crash, police said. A 73-year-old man from Barrie has been charged with disobeying a stop sign. He is scheduled to appear in court in November.